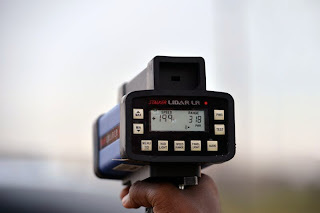 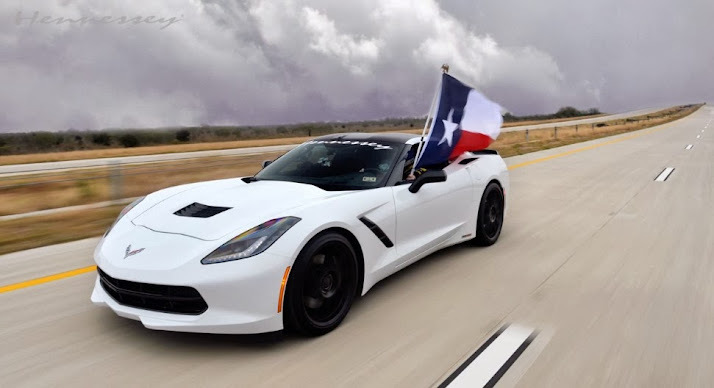 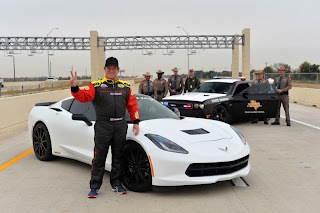 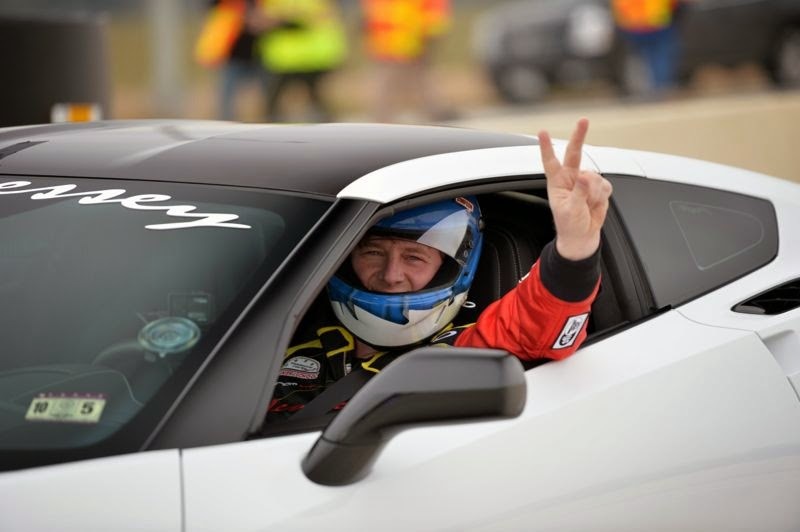 The Corvette C7 Stingray modified by Hennessey Performance Texas recently completed a high speed test session and reached a top speed of 320 Km/h (200 mph), 20 mph more than the stock model. 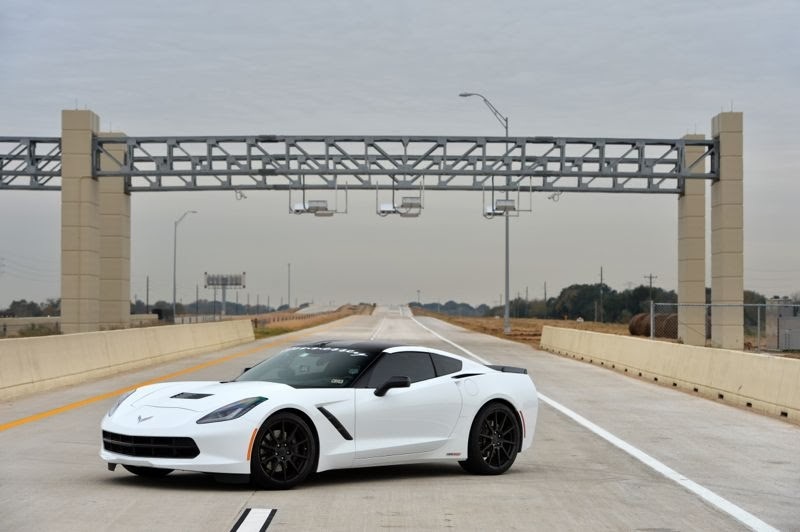 This performance was achieved thanks to Hennessey's HPE600 package which includes new high-flow catalysts, ported factory cylinder heads, long-tube headers, custom camshaft and a Nitrous Express nitrous oxide system. 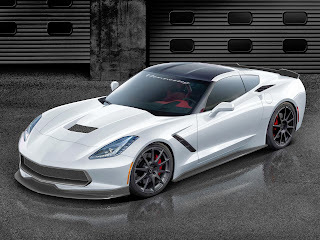 The 6.2-liter V8 engine originally producing 460 Hp now develops 700 Hp at 6,500 rpm. But Hennessey Performance is cooking more for the new C7 Vette as the HPE700, HPE800 and HPE1000 packages will soon be available with respectively 700 Hp, 800 Hp and 1,000 Hp. 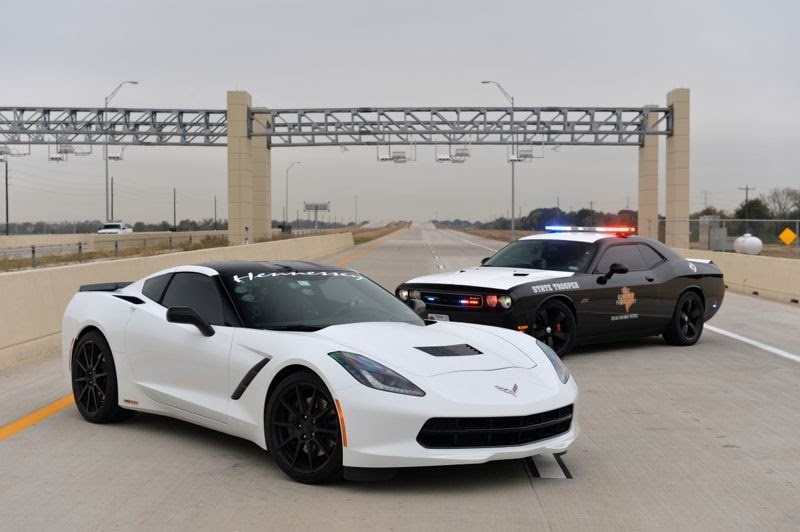 Stay tuned for more from the Texas based tuner.